Ten Common Myths and Surprising Facts - Healthy Hearing Inc. Your Hearing and Hearing Aids. 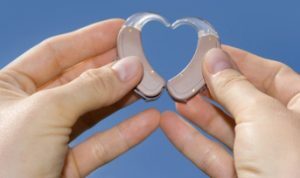 Hearing Aids can help clients overcome barriers faced daily as a result of their hearing loss, but it is not the only solution or alternative. Effective communication strategies combined with hearing aids will help most clients. Myth: Only a few people are truly hearing-impaired and chances are neither I nor those to me are affected. Fact: The odds are that you or someone close to you has some degree of hearing impairment. In fact, it has been estimated that over 3 million Canadians suffer from some form of hearing impairment. Myth: If I had a hearing impairment, I certainly would know about it. Fact: Not necessarily. Often hearing impairment develops slowly and subtly. Our own built-in-defenses may make it difficult for us to determine whether we do or don’t. A simple hearing test would determine if a hearing loss exists. Myth: Will hearing aids restore my hearing to normal? Fact: Hearing aids are designed to aid a person’s hearing. Hearing aids cannot restore human hearing nor can they retard the progression of nerve deafness. They are only part of hearing rehabilitation and may need to be supplemented by auditory training. Myth: Will my hearing aids help in the presence of distracting background noise? Fact: Understanding, especially in a noisy environment, will vary depending on each individual’s hearing loss. Overall benefit may depend on proper fit, frequency of use, auditory rehabilitation, the severity of hearing loss, and on the accuracy of the patient evaluation. 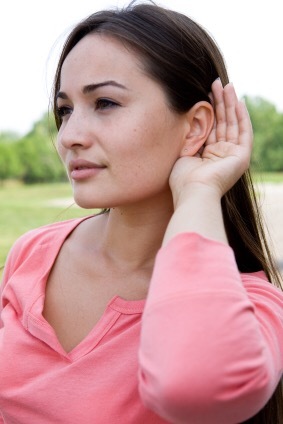 Myth: When someone is hearing impaired, that just means that sounds are not loud enough. Fact: That’s just part of it. Perhaps that person may have trouble hearing in crowds or in group conversations. Perhaps they hear but don’t always understand what’s being said. Words may seem to be mumbled or words just run together. These are but a few of the symptoms. Myth: Hearing aids are large and unsightly. Most people therefore don’t want to wear them. Fact: Most people aren’t aware of the latest technological advances that have been made in hearing aids. For many, both in the ear and behind the ear. hearing aids exist and these instruments are amazingly small and discreet. They’re so technically advanced that they’ve made most old-fashioned and analog hearing aids obsolete. Myth: Wearing a hearing aid is a sign you’re getting old. Fact: Although hearing impairments are common in older adults, much middle age and younger people are affected as well. There are many determining factors beyond just age. Remember, a hearing loss is more noticeable than a hearing aid. Myth: I’ve heard that my type of hearing loss can’t be helped. Fact: In most cases, nerve deafness can be helped through amplification. Now there is hope for those who have been told they couldn’t be helped. Myth: It’s too expensive to get a really good hearing aid. Fact: The very best hearing aids available are well within the reach of most people. Any way you look at it, a hearing aid could be the best investment you can make. Myth: Hearing tests are expensive and inconvenient. Fact: Not so! At Healthy Hearing we can arrange both a hearing test and house call.